Veltec Networks understands that running a business is not as simple as it appears. Many types of businesses in the San Francisco Bay Area also have to follow and comply with evolving compliance regulations. Failure to meet these compliance regulations can result in a variety of expensive penalties and needless downtime until you satisfy the compliance agency’s audit requirements. These industry compliance requirements should not have to be something you have to worry about or be a constant burden because when you partner with Veltec Networks we will mange all these compliance concerns for you. Veltec Networks has a full and complete understanding in how to satisfy the audit compliance regulations, and provide the IT infrastructure so all your data is secure and standardized to satisfy and pass a compliance audit. 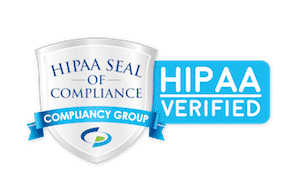 The Healthcare Insurance Portability and Accountability Act (HIPPA) which came into effect in 2013 regulate how patient health information must be protected throughout the healthcare industry. Both civil and criminal penalties can be applied by the enforcement agencies which include the Office of Civil Rights and the Health and Human Services Department. The compliance regulations for PCI and DSS have put financial institutions under increased scrutiny from industry and government regulators. All financial institutions, community banks and other applicable financial institutions are now required to enhance their security infrastructure to protect personal identifiable information. To comply with these current and future regulations can be a financial burden. However, these regulations do no just apply to financial institution but for any business, both big and small which accepts credit and debit cards. All businesses which do so must comply with PCI and DSS compliance regulations. Fines can be as high as $500,000 for lost or stolen data. FINRA is a private, non-government corporation that regulates member broker firms and exchange markets while the Securities Exchange Commission regulates and enforces all aspects of the Securities industry. FINRA deals with all security firms that deal with the public. FINRA was formed by a consolidation of the member regulation, enforcement and arbitration operations of the New York Stock Exchange, NYSE Regulation, Inc., and NASD. Enacted in 2002, the Sarbanes Oxley Act requires a complex level of standards for corporate accountability. The purpose of these compliance regulations is to provide protection for investors to ensure the reliability and accuracy of corporate disclosures. All financial reports are required to include an internal control report to ensure the accuracy and security of the financial data of all companies. Trying to incorporate all your data in a manner that satisfies the compliance regulations and audits performed by these compliance regulators is something that Veltec Networks specializes and managing for your company. You no longer need be stressed out with worry when it comes to compliance standards because Veltec Networks has you covered.